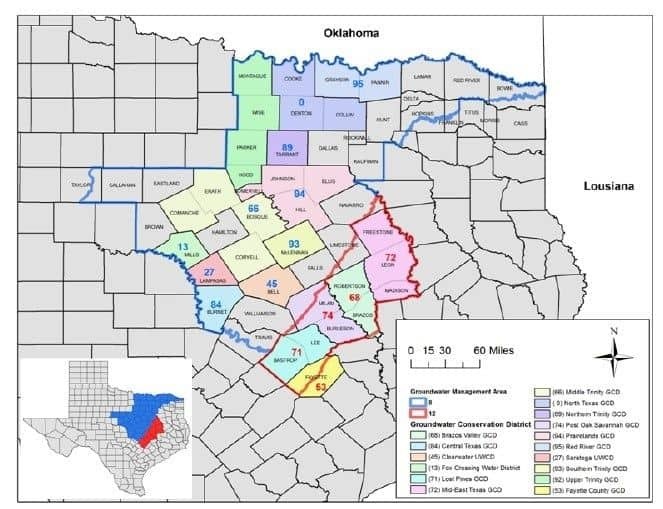 The Post Oak Savannah Groundwater Conservation District (POSGCD) is part of two Groundwater Management Areas (GMA) created by the state. These two GMAs are among 16 GMAs throughout the state which hold joint planning meetings to comply with state law in Chapter 36 of the State Water Code, and more specifically HB1763 of the 79th Legislature. POSGCD is a member of GMA 8 and GMA 12. 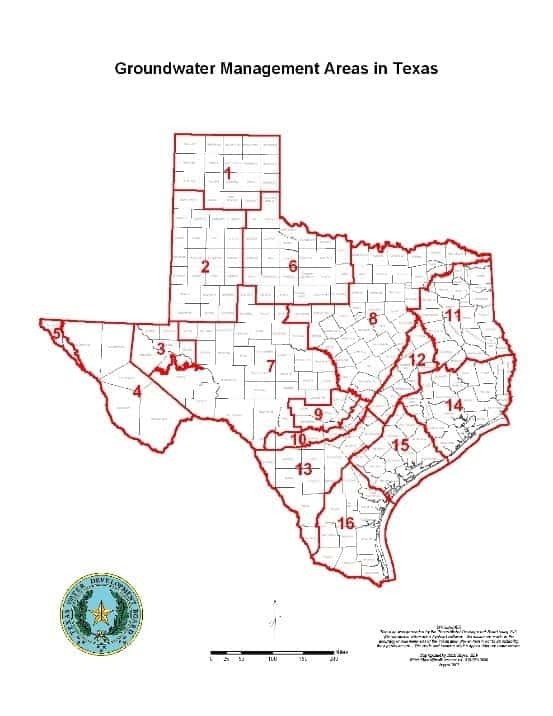 Below is a map of the two Groundwater Management Areas, 8 is outlined in blue while 12 is outlined in red.